Whether it's December or July, every gardener has a wish list. While I wish for more sun and better drainage, there are items on my list that actually can be purchased. 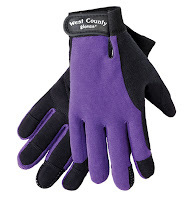 (Hint, hint) For starters, I'm hard on my gloves, and although West County are the toughest I've found, even they get old. I've had the waterproof style for several years and they've sprung a leak. That is, their lining is escaping from the fabric. While they still serve, they're no longer pretty. Still, they've impressed the heck out of me, as the gloves I used before discovering this brand lasted approximately one and a half seasons. 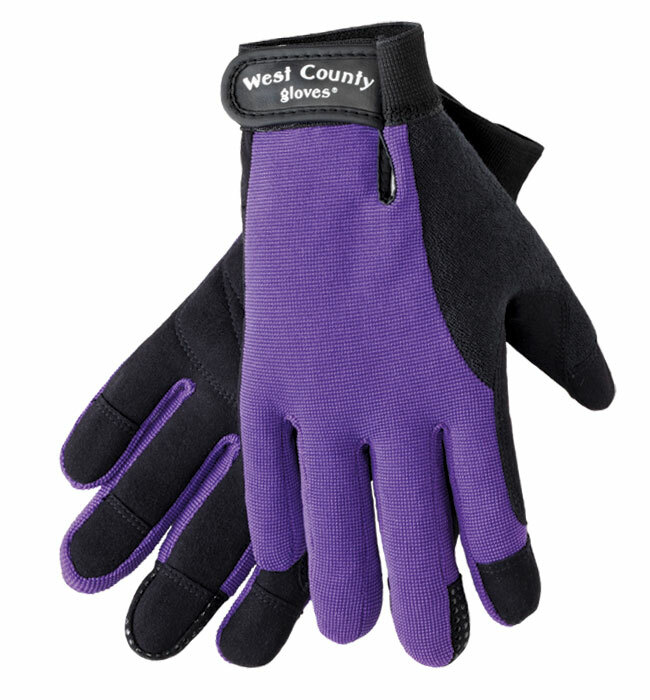 The original High Performance Work Glove is great for warmer weather and lasts longer than any other summer glove I've tried. 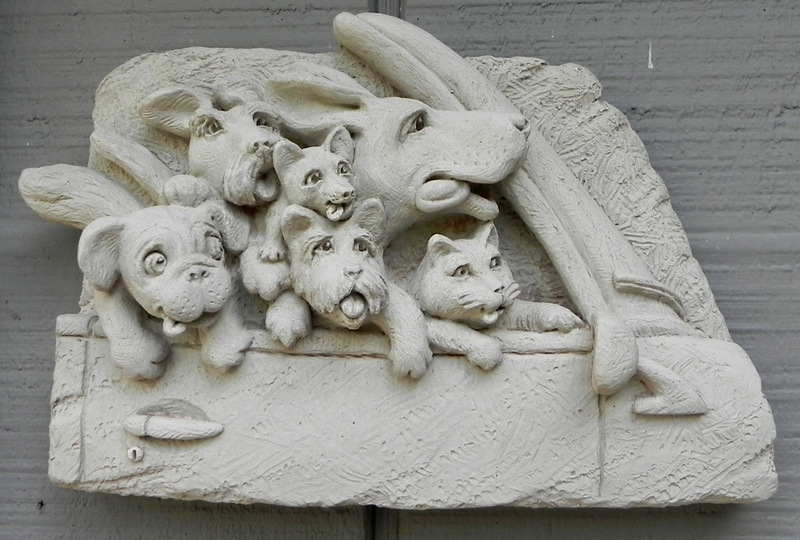 ﻿I'm really excited about the newest offerings from Carruth Studios. 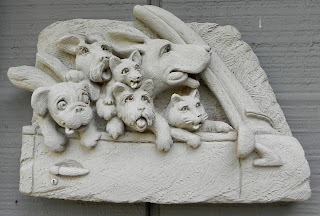 Whether you have a bare spot in your garden or a vertical surface that cries out for adornment, you can find something to put a smile on your face as well as the faces of your garden guests. I'm vacillating between "Triple Dog Dare" and "Muttcracker Ballet." As tough as I am on gloves, I'm even tougher on footwear. And that includes garden boots and clogs. 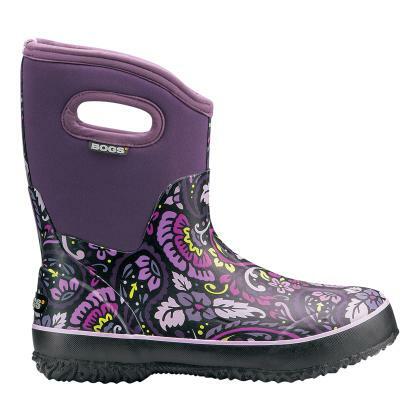 With my penchant for purple, I couldn't resist putting Bogs mid-boot Tuscany on my list. And finally, save up your pennies for a lighted plant stand, because my succulents are in need of some light supplementation. And when springtime comes, I'd really like to have a jump on plants like larkspur, moonvine, Vigna caracalla (corkscrew vine) and four o'clocks. The four-shelf compact light cart from Home Harvest Garden Supply looks like a winner to help my plants through the winter. And if you can actually see things grow, rather than just survive, a Midwest winter, it's bound to help banish the deep, dark wintertime blues.